Cosmopolitan At Lindbergh - Feel Free To Ask About The Special Down Payment Assistance Programs That Are Available As Well. MLS#6541076. Berkshire Hathaway Homeservices Georgia Properties. Minutes To Downtown. Quick Drive To The Airport. 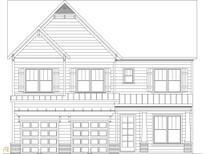 MLS#8568723. Duffy Realty. This Truly Is One Special Townhome In One Fantastic Location! MLS#6540691. Palmerhouse Properties. Walk To Over 90 Fabulous Restaurants, Bars, Piedmont Park, Marta, Theatres, High Museum Of Art, Atlanta Beltline And More. MLS#6541096. Re/Max Masters, Llc..
Deere Lofts - With Many Developments Under Construction In The Area This Is Your Chance To Watch Atlanta'S City Center Transform While Living In An Undeniable Piece Of Its Past! MLS#6540679. Harry Norman Realtors. Hillside At Lenox - New Double Pane Windows. Updated Lighting. MLS#6540593. New Choice Real Estate, Inc..
Gated Community W/ Pool, Gym, & Lovely Green Space. Brilliant! MLS#6541209. Keller Knapp, Inc..
Come Live The Country Club Life Without The Price! MLS#6541049. Re/Max Unlimited. Peachtree Walk - One Year Home Warranty Included. Not Fha Approved. MLS#6540937. Keller Williams Realty Intown Atl. Nice Sized 3 Bedroom / 2.5 Bath Home Is In Good Condition And Features Charming Curb Appeal, Original Hardwood Floors, Separate Living Room, Dining Room, Screen In Porch Partially Finished Full Basement. MLS#8569185. E. F. Robinson Realty Co., Inc.
Move In Ready Just Brings Bags. MLS#6541143. Palmerhouse Properties. Hot Hot Hot Location.. Westview / Westwood Terrace.. 1/2 A Mile From The Westside Beltline. Savvy Investors Only. MLS#8569194. Keller Williams Rlty Atl. Part. Private Backyard That Backs Up To English Park. Shown By Appointment Only. MLS#8472183. Re/Max Regency. Houses All Around Have Been Renovated And Rehabbed And Recently Sold Between 220K-300K. MLS#8568524. Walk Away Realty, Inc.. Please Do Not Use Showingtime. For Easy Showing Contact Tracy. MLS#8568746. Global Elite Broker Agency. 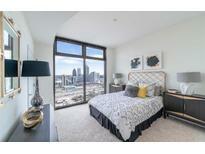 Aqua Midtown - Unit Includes 2 Primo Parking Spaces & 2 Storage Units. MLS#6536822. Berkshire Hathaway Homeservices Georgia Properties. 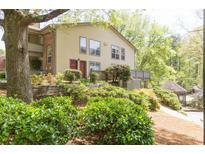 Morningside - Walk To Alons Bakery, Vahi Restaurants, Piedmont Park, & The Beltline! Brilliant! MLS#8568114. Keller Knapp, Inc.
Skyline Views & 1 Block To Piedmont Park. MLS#8568318. Atl.Fine Homes Sotheby'S Int..
Minutes Away From I-85, Public/Private Schools & Peachtree Battle Shopping Center. MLS#6540165. Ansley Atlanta Real Estate, Llc. This Open Concept Home Was Made For Entertaining, Offering Both Indoor Social Spaces As Well As Outdoor Living Area In The Form Of Covered Porches. MLS#6540200. Custom Realty Group, Llc..
Gracious Entry, 10-Ft Ceilings, 2 Car Garage, Mudroom W Built-Ins, Custom Lighting & Farmhouse Style-Sink In The Kitchen, Craft Built Open Shelving, Additional Custom Built-Ins Throughout, His/Hers Closets, Pedestal Tub And Walk-In Shower, Low-E Windows And Radiant Barrier Roof & 1250 Sqft Unfinished Basement. MLS#8567761. Palmerhouse Properties Realty. Peachtree Road - Perfect For The Resident Who Wish To Be Walking Distance From Atlanta'S Finest Shopping And Dining. MLS#6540576. Keller Williams Buckhead. 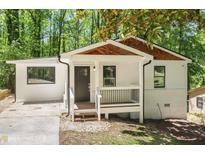 Walk To Madison Yards, Atlanta Dairies + All Beltline Has To Offer. Low Hoa. Fee Simple. Rentable! MLS#6540544. Palmerhouse Properties. Clifton Heights - Click Virtual Tour Link For Virtual Floor Plans. MLS#6540464. Compass. Enjoy A Multitude Of Dining And Retail Shops Plus Doorsteps Access To Marta! MLS#6540387. Atlanta Fine Homes Sothebys International.